The Musings of a Curly Haired Runner! Today is my 6th Natural Haireversary!!!! My name is Alwina, aka Alice’s Daughter, which is my mother’s name. 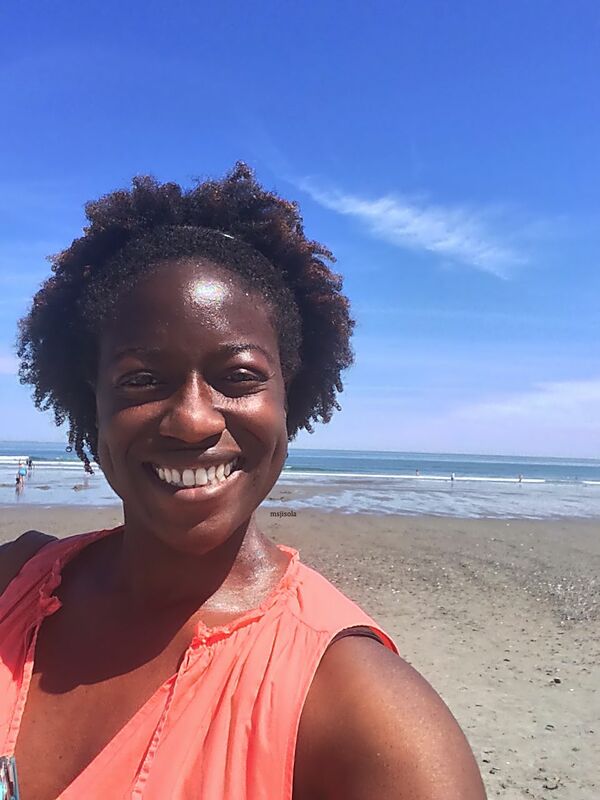 I created this blog to share my journey with running, natural hair and all things related. I started my current natural hair journey in February 2009 when I got my last relaxer. By April 2009 I decided I didn’t want to perm anymore and to give the natural hair thing another go. I attempted to go natural in 2005, but due to a lack of knowledge, I got a permanent wave then a relaxer. All bad ideas. I spent about 5 months wearing braids until I big chopped September 30, 2009. I still had no idea about how to work with my texture, styling, caring, etc. for my hair. I took whatever knowledge I had acquired when my hair was relaxed to keep my hair as healthy as possible. Wash, condition and style. I started my journey using several expensive name brands to achieve curl definition, still not understanding my hair. I didn’t realize I was attempting a wash and go. Go figure… *shrugs shoulders* So for the next several months I would wear my hair in finger coils using Miss Jessie’s products and/or wear an Afro. I also flat ironed my hair on two special occasions; I believe I did experience some heat damage or a loosened curl pattern. Then in May 2010 I decided to have my hair (no extensions) twisted by Cumba, my hair-braider since 2007. The style lasted for about 2 weeks. But that two weeks translated into learning how to twist my hair and save tons of money and time. By December 2010, I had a consistent regiment of washing, deep conditioning and styling in mini-twists, which I soon got tired of. Do we see the running theme here? (no pun intended) Lol I like different hairstyles! Around this time I got my last set of deep wave braids (side note: my Super Coily hair would peek out through the braiding hair after a few washes, so I no longer use this type of hair). 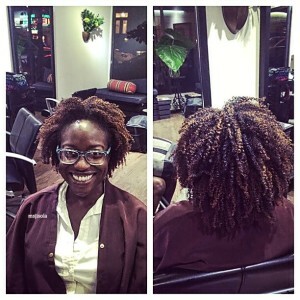 At the braiding salon, I met a lady who put me on to YouTube. Sweet Jesus!!! I found the jackpot!!! I watched all of Kimmaytube’s videos, followed her regiment and made her leave-in mix for a pH balanced leave-in conditioner. The awesome lady from the braiding salon also taught me a trick when prepping my hair for braids: stretch my hair in braids or twists. Lazy trick: use a heat protectant (or not, as taught by the fabulous Jaded Tresses, aka the Curl Whisperer) and blow dry. More on that later. Fast forward to today, I’ve watched and subscribed to plenty of YouTube videos, read tons of blogs and been to too many hair events to count, as well as make a ton of friends in the process. My hair is thriving (sometimes my hair and I disagree) and I’m experimenting more with different hair styles and products. I still have a lot to learn but I’m looking forward to going through this journey. In my next post, I’ll share more about my running. Getting highlights for my birthday! What’s your experience with natural hair? Why did you go natural to begin with? Do share! Alices_Daughter on Today is my 6th Natural Haireversary!!!! Yolanda Sanchez on Today is my 6th Natural Haireversary!!!! Regina on Today is my 6th Natural Haireversary!!! !